These guidelines should help during that crucial initial stage of integration. Most people rush into introducing the dogs and expect them to “work it out”. Often times this is a stressful scenario and you can start things off on the wrong foot without intending to. If you follow these guidelines and take your time you can set the dogs up to succeed. Always introduce dogs in a neutral place and use lots of positive reinforcement such as treats so that there is a default good association. 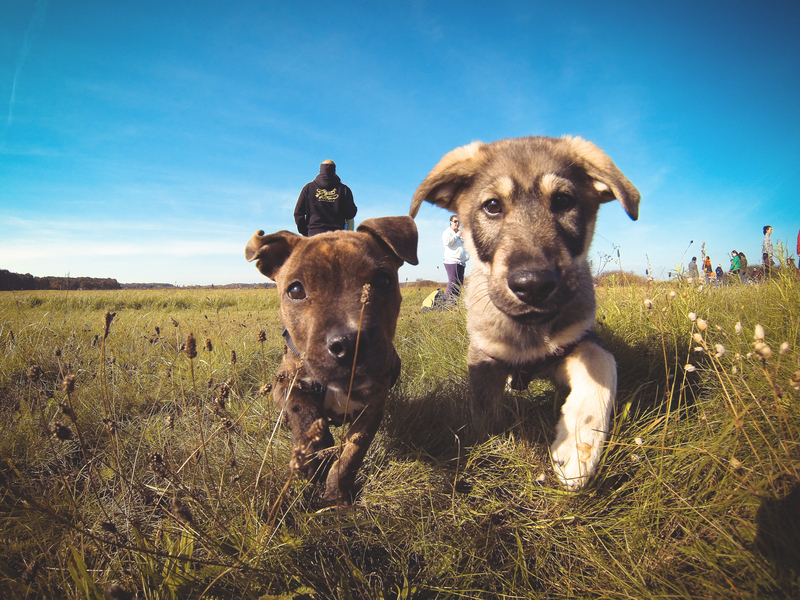 Introduce both dogs on leash and try to keep the leashes loose for their first few sniffs. Count to three while they first sniff and then move them away with a happy tone of voice and use some treats to reward. You’ll want to repeat a few brief sniffs and then get them moving on a parallel walk. If there is snarking upon first sniff don’t throw in the towel! Take both dogs on a parallel walk and use lots of rewards. Then go home in separate cars. When you arrive home you should have your baby gates set up to keep the dogs separate for a period of time until you’ve made lots of good associations and there have not been any set backs. I thought we were done with baby gates once we house trained our dog? Nope! These gates are often crucial for multi-dog households. You’ll want to have separate areas for the dogs at least for the first few weeks while you integrate the new dog into your home. This can prevent squabbles, resource guarding and in general stress and anxiety. Don’t skip this part even if your resident dog is “good”. Resource guarding amongst other dogs is a normal behaviour and one that can spike during stressful scenarios or introducing new dogs into your household. Feed dogs separately and keep toys and beds separate. In the home these should be in different areas with the baby gates being used. Dogs often times don’t want to share these items and that’s ok! Don’t assume they will want to share and use preventative measures to avoid problesm. Take both dogs on plenty of on leash walks together if the first few days have gone well. Experiment with some off leash time in the yard with supervision and if they end up playing great! Keep play sessions short and sweet and end on a good note. Again, watch toys as they may squabble over those or sticks/balls. Prevention will be key again for the first few weeks and up to a month. It can take 3-6 months in many cases to see some reliable behaviour between the dogs in this new dynamic. After spending a considerable amount of time thinking about adding a new family member to your household you’ve decided to adopt a dog…. congratulations! Whether you adopt through a shelter, a reputable rescue group or perhaps a situation in which someone is rehoming a dog, you’re making a difference to an animal in need. 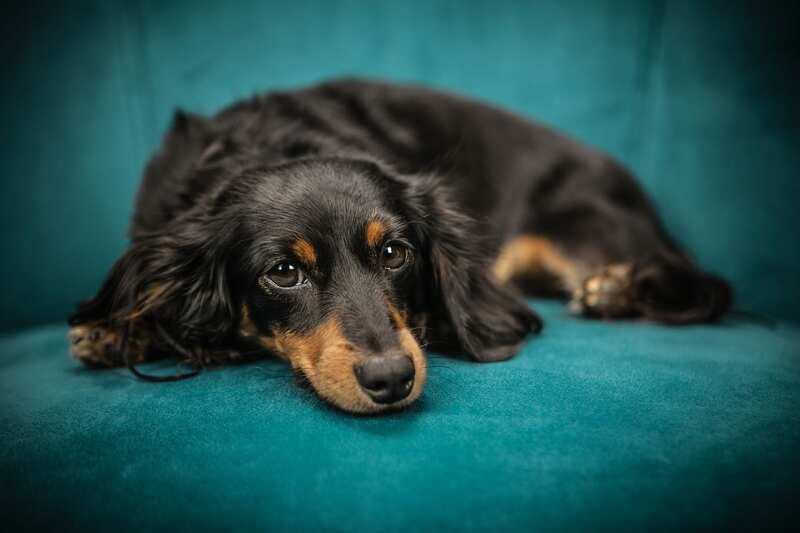 After you bring your new family member home you may feel overwhelmed. Guaranteed your dog will feel the same way. He’s in a new environment, with new people and not sure what to expect. He may have had a rocky past and can’t trust you quite yet. Here’s how to make the transition easier for you both. As mentioned, an animal in a new environment has no way of knowing whether they are safe. Naturally, an animal will be worried about this unknown. YOU know you already love this dog but he has no idea! The proof will be in your actions, or lack thereof. What I mean by this is instead of bombarding him with affection, take the pressure off and let the dog explore his new environment without worrying about this new person constantly forcing interaction. Let him come to you. When he does, break out some snacks. It’s all about associations for animals, if you are associated with a necessity (food) this is going to warm your dog up quickly! One of the biggest mistakes I see when someone brings a new dog home is that they immerse the dog in their life very quickly. They take them to the pet store, the dog park, over to friends houses and to work… often within the first few days. This can be extremely stressful and overwhelming for a dog. The most stressful time for a newly adopted dog is the first few weeks. They have no point of reference for this new life of theirs so let them settle into your home first and spend the first few weeks slowly introducing them to the different facets of your life. It’s understandable that it’s exciting to welcome your new family member home and you’d like to bring them everywhere, however, you won’t be setting them up for success. Accidents in the house should be expected. Even a “house trained” dog put in a stressful or new situation will likely have accidents. He may even chew or destroy things. If this happens don’t get angry, just do better. That means providing plenty of items your dog is ALLOWED to chew on (think antlers, bully sticks, stuffed Kongs), put things away that you don’t want damaged, ensure counters are clear and shoes are put away. You may want to baby gate a confinement area in your home while you are testing the waters. Take your dog out frequently for bathroom breaks and party and reward with snacks just as you would house train a puppy. Don’t assume an adult dog will know. And punishment after the fact will only prevent your dog from bonding and trusting you. Your last dog was PERFECT… smart, easy to please and irreplaceable. That’s correct, you cannot replace dogs you’ve had in the past so ensure your expectations aren’t that your newly adopted dog will be anything like another dog. Dogs are individuals comprised of a different set of genes, a different personality and history (yes, even puppies are reared very differently from litter to litter). You may be setting up your new family dynamic to fail from the get-go. This doesn’t mean that an adopted dog will be riddled with “issues” but you have to be realistic that you will have to put work and effort in for the transition to be a success. Your past dog (s) are not THIS dog. No one dog is the same so it’s unfair to make comparisons. Genetics, early environment and an animal’s past all contribute to their behaviour and personality in the now.